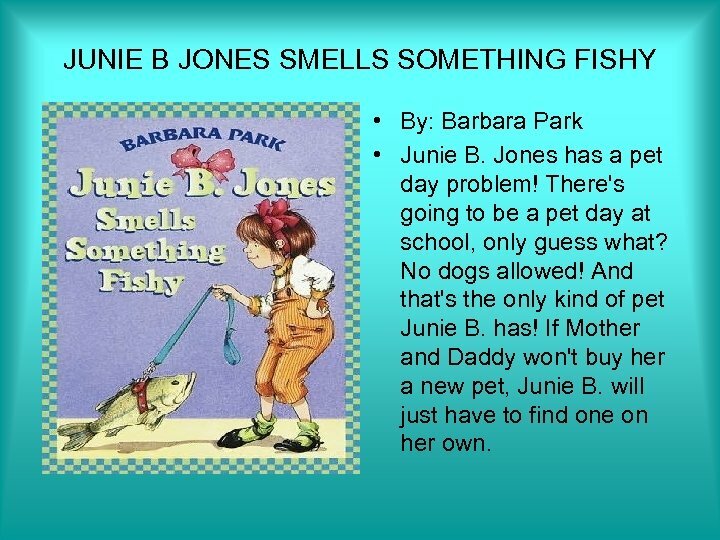 JUNIE B JONES SMELLS SOMETHING FISHY • By: Barbara Park • Junie B. Jones has a pet day problem! There's going to be a pet day at school, only guess what? No dogs allowed! And that's the only kind of pet Junie B. has! If Mother and Daddy won't buy her a new pet, Junie B. will just have to find one on her own. 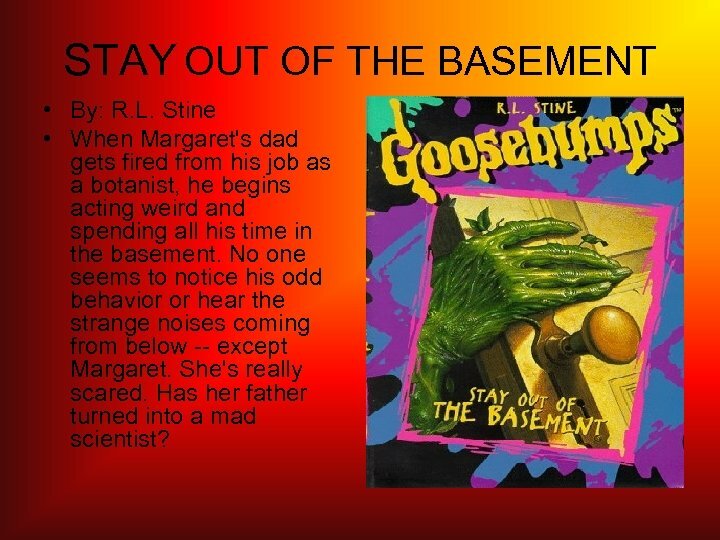 STAY OUT OF THE BASEMENT • By: R. L. Stine • When Margaret's dad gets fired from his job as a botanist, he begins acting weird and spending all his time in the basement. No one seems to notice his odd behavior or hear the strange noises coming from below -- except Margaret. She's really scared. Has her father turned into a mad scientist? 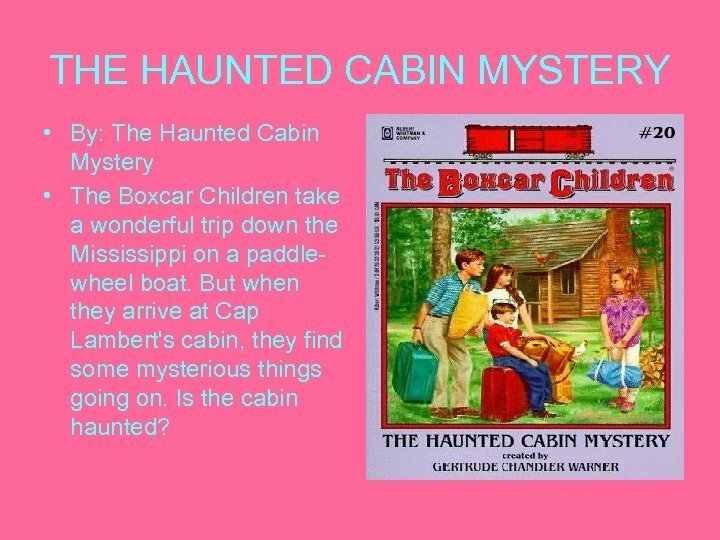 THE HAUNTED CABIN MYSTERY • By: The Haunted Cabin Mystery • The Boxcar Children take a wonderful trip down the Mississippi on a paddlewheel boat. But when they arrive at Cap Lambert's cabin, they find some mysterious things going on. Is the cabin haunted? 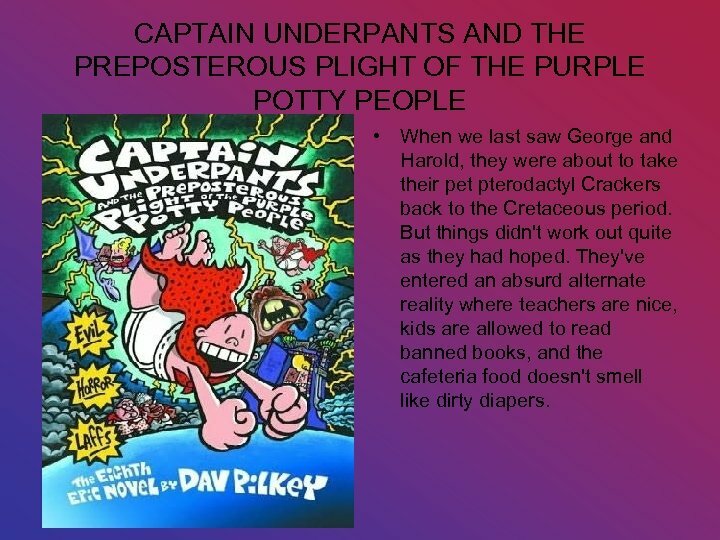 CAPTAIN UNDERPANTS AND THE PREPOSTEROUS PLIGHT OF THE PURPLE POTTY PEOPLE • When we last saw George and Harold, they were about to take their pet pterodactyl Crackers back to the Cretaceous period. But things didn't work out quite as they had hoped. They've entered an absurd alternate reality where teachers are nice, kids are allowed to read banned books, and the cafeteria food doesn't smell like dirty diapers. 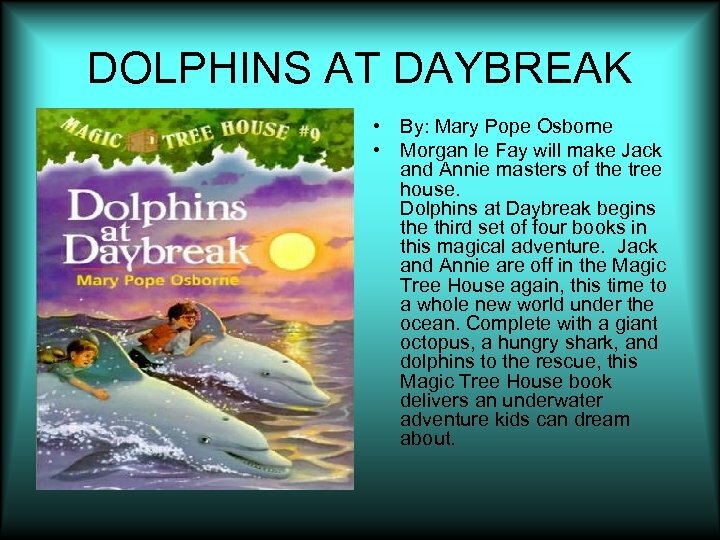 DOLPHINS AT DAYBREAK • By: Mary Pope Osborne • Morgan le Fay will make Jack and Annie masters of the tree house. Dolphins at Daybreak begins the third set of four books in this magical adventure. Jack and Annie are off in the Magic Tree House again, this time to a whole new world under the ocean. Complete with a giant octopus, a hungry shark, and dolphins to the rescue, this Magic Tree House book delivers an underwater adventure kids can dream about. 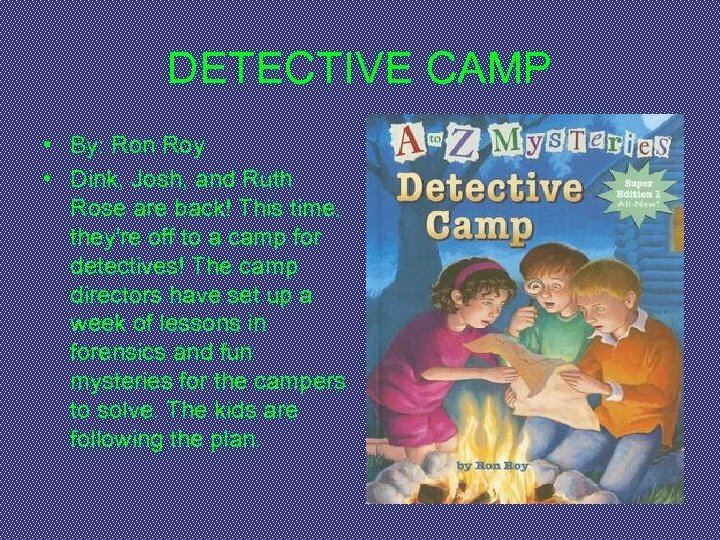 DETECTIVE CAMP • By: Ron Roy • Dink, Josh, and Ruth Rose are back! This time, they're off to a camp for detectives! The camp directors have set up a week of lessons in forensics and fun mysteries for the campers to solve. The kids are following the plan. 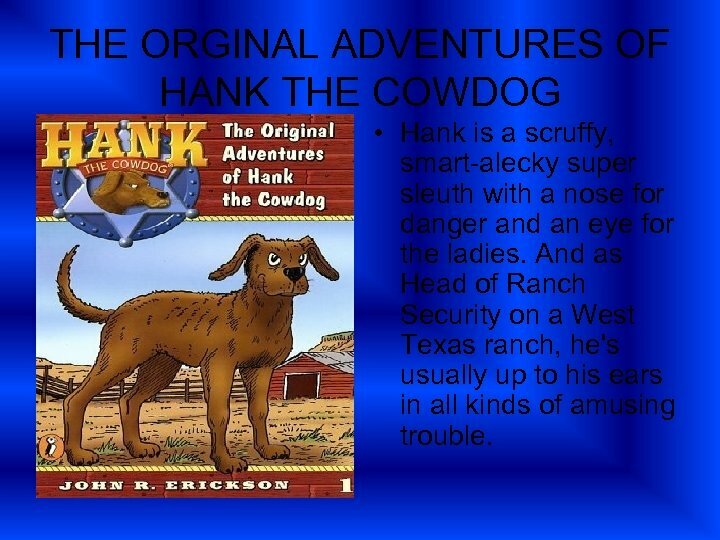 THE ORGINAL ADVENTURES OF HANK THE COWDOG • Hank is a scruffy, smart-alecky super sleuth with a nose for danger and an eye for the ladies. And as Head of Ranch Security on a West Texas ranch, he's usually up to his ears in all kinds of amusing trouble. 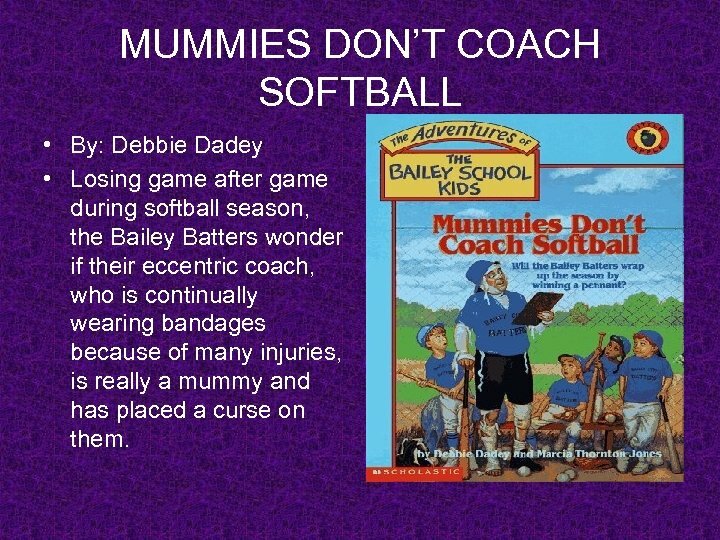 MUMMIES DON’T COACH SOFTBALL • By: Debbie Dadey • Losing game after game during softball season, the Bailey Batters wonder if their eccentric coach, who is continually wearing bandages because of many injuries, is really a mummy and has placed a curse on them. 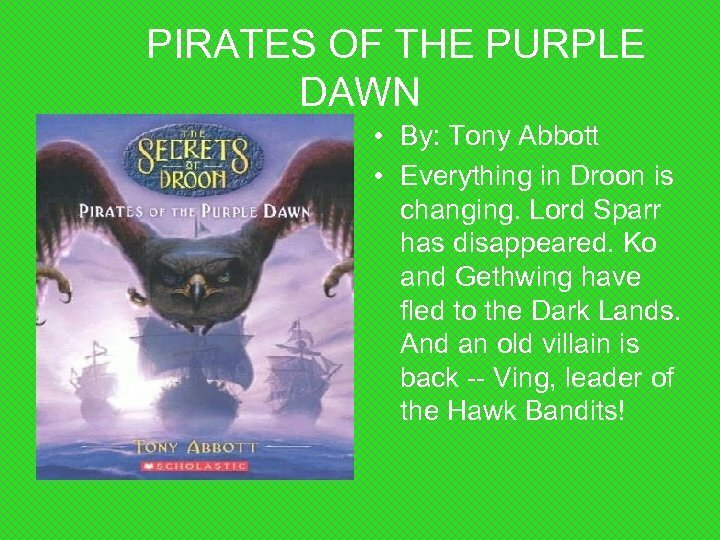 PIRATES OF THE PURPLE DAWN • By: Tony Abbott • Everything in Droon is changing. Lord Sparr has disappeared. Ko and Gethwing have fled to the Dark Lands. And an old villain is back -- Ving, leader of the Hawk Bandits! KRISTY’S GREAT IDEA • By: Ann M. Martin • Kristy Thomas, a 12 year old student at Stoneybrook Middle School, comes up with an idea for a club/business when she sees her mother struggling to find a baby-sitter for her younger brother, David Micheal Thomas. 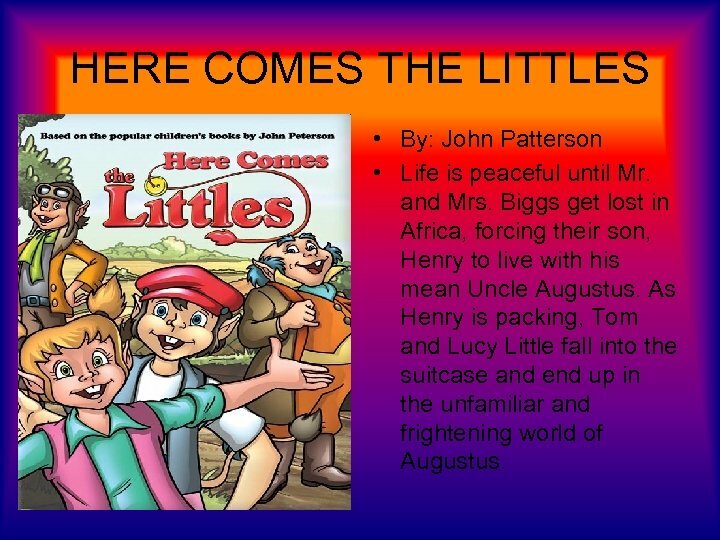 HERE COMES THE LITTLES • By: John Patterson • Life is peaceful until Mr. and Mrs. Biggs get lost in Africa, forcing their son, Henry to live with his mean Uncle Augustus. As Henry is packing, Tom and Lucy Little fall into the suitcase and end up in the unfamiliar and frightening world of Augustus. THANK YOU!!!!!! 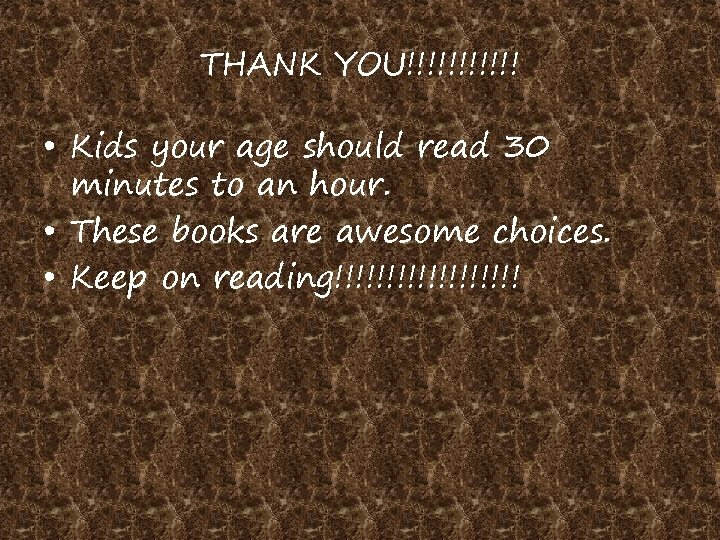 • Kids your age should read 30 minutes to an hour. 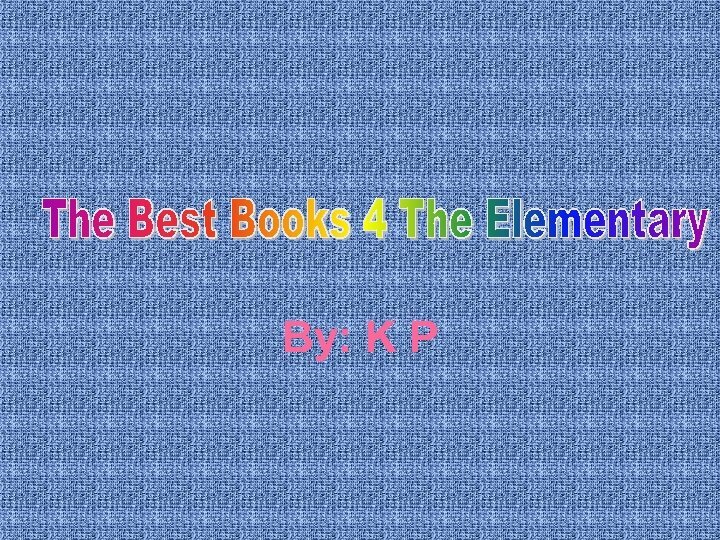 • These books are awesome choices. 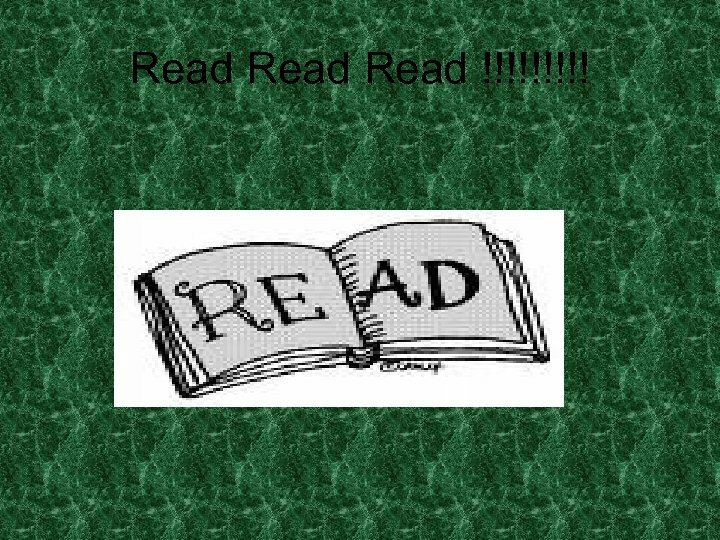 • Keep on reading!!!!!!!!! Refactoring Lecture Outline 1) Рефакторинг. Зачем и когда?